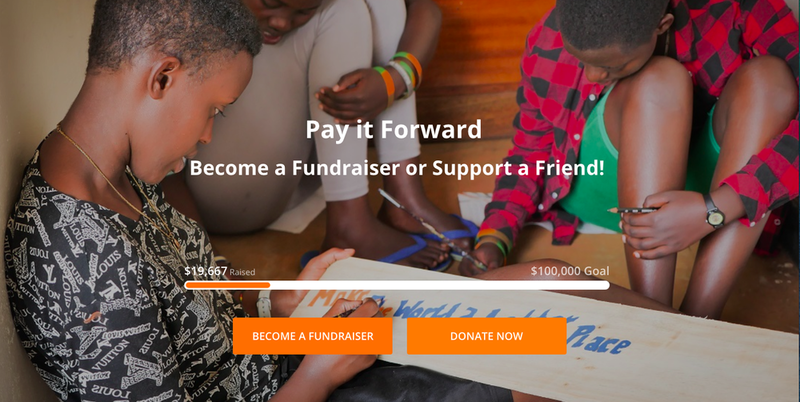 Host an event, celebrate a birthday, or hold a bake sale – there are so many ways that you can transform life’s big and small moments into a brighter future for Rwanda’s youth. When you set up an online fundraiser, your friends and family have the chance to get in on the action. Your gift of $50 will provide school supplies for one student for a year. Equipped with the tools to learn, our students are empowered to make the most of their education at the Liquidnet Family High School. Many ASYV students arrive with all of their belongings in a paper bag. Your gift of $100 gives a student the clothing they need to stay warm and dry for all four of their years at ASYV. A gift of $250 means that a family of 16 – 24 boys or girls have access to health and wellness services for an entire year, which is key to ensuring a healed and healthy student. A laptop opens up a world of new tools and knowledge for our students. Your gift of $500 funds a laptop for a student and the education necessary to build our students’ technology literacy, skills that will enable them to be more employable once they’ve left the Village gates. Click here to create the page. Choose a name for your campaign, pick a photo, and set a target goal. Voila! To make your page as engaging as possible to your friends and family, add more information about why ASYV is important to you, tell a personal story, and include photos. Time to spread the word about your fundraiser! You can invite people to take part via email, through your fundraising page itself, or on social media. We’ve compiled tips on how to make a good fundraiser, which you can find here. Don’t forget, the more people you share with, the faster you’ll reach your goal. Make sure to show your supporters some love with a thank you note, email, or social that tags them. Thanking supporters is one of the most important parts!